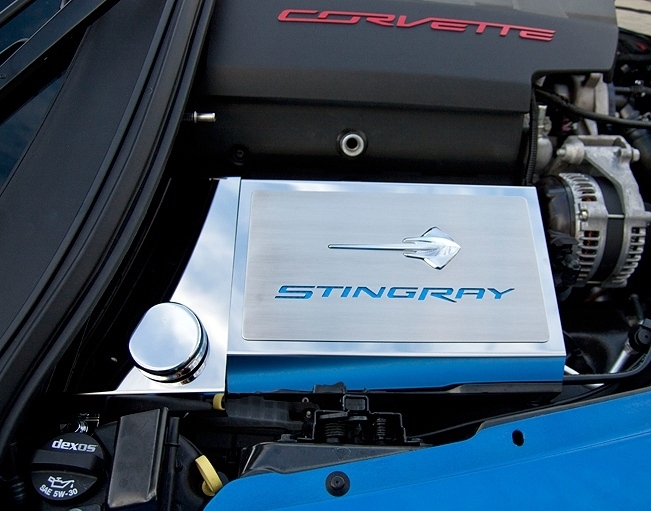 Dress up your C7 Corvette Stingray engine bay with our GM licensed Stainless Steel, Fuse Box Cover. This piece with its polished base and brushed face, has the Corvette Stingray logo along with "Stingray" lettering. There are multiple color options to choose from for the inlay of the lettering. 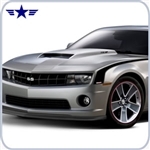 This accessory is designed to fit C7 Corvette Stingrays over the existing fuse box and add a clean stylish look to your Corvette engine bay. This C7 Corvette Stingray Fuse box cover is custom made to order and takes additional time to ship out.